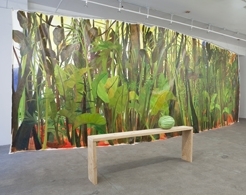 Installation view of closer to right than wrong/ closer to wrong than right at Jack Hanley Gallery, New York, 2014. 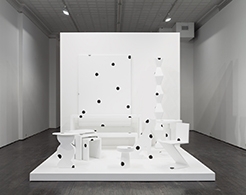 Installation view of New Pictures of Common Objects at MoMA PS1, New York, 2014. 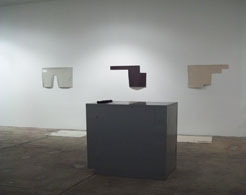 Installation view of Waiting For #### at Jack Hanley Gallery, New York, 2011. 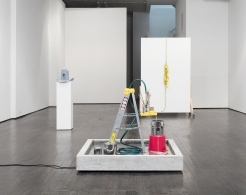 Is A Rusted Petticoat Enough To Bring It Down To Earth?